Frank Joseph’s “Lost Realms” (AR #131) mentioned the legends of the far northern land of Hyperborea. Before anyone scoffs at the notion, they would do well to remember that our planet’s climate has changed drastically over the millennia. During the last major glaciation, sea levels were as much as 400 feet lower than today, exposing vast areas for human settlement. When the ice sheets melted, the sea rose, and there was catastrophic flooding, almost certainly the origin of Atlantis and flood myths. The Holocene Optimum followed the Ice Age, when global temperatures were higher than at any time since. Iceland would then have been a relatively attractive piece of real estate, and even southern Greenland was relatively… well, green. Incidentally, warmer temperatures also meant more evaporation of seawater, hence more clouds and rain, and many deserts were also habitable. Entire lost civilizations may lie under desert sands and Arctic glaciers. William Stoecker’s “Where are the Lost Machines?” (AR #131), rattled my cage. In what passes for my real life, I’m researching the prehistory of the space program. That focus caused me to notice Mr. Stoecker’s report of models of thousand-year-old airplanes. This is something that should be studied by an aeronautical engineer. It might be worthwhile to approach NASA for a grant to explore what’s been found. NASA has funded wind tunnel work on insect flight, and perhaps ancient aircraft might be deemed worthy of serious study. Before NASA is approached, it will be necessary to produce for them photos and dimensioned drawings of all the devices located so far. A complete report on the replica flown in 1994 in Columbia would be essential. It would be useful also to have a clear drawing of the devices found painted on the walls in Abydos. Models can be built from good drawings. In another matter, Andrew Collins’ article on the Denisovans (“The Last of the Denisovans,” AR #131) suggested something totally different. A seven-foot-tall Denisovan might make a convincing Bigfoot. After having been forced out of their territory in Siberia, what would prevent them from migrating across the Bering land bridge and isolating themselves in Canada? They would have chosen to avoid all other humans, and lived quietly, never adapting any new technology—and perhaps losing what they had—after all the moves into a new place that lacked the familiar resources. Mysteries of Ancient Egypt are a traditional subject in Atlantis Rising, but one of the dark topics is the Egyptian prehistory. Unfortunately, mainstream Egyptology ignores the opinions of Egyptians themselves on the oldest times of their country because of too ancient and contradictory prehistoric dates. For example, the most authentic Egyptian document “The Royal Canon of Turin” (thirteenth century BC) gives the total time of predynastic period as 36,620 years. Another Egyptian “Old Chronicle” (in the Eusebius-Syncellus version of ninth century AD) covers 36,525 years. Any astronomer (but no Egyptologist) can confirm that the first number 36,620 practically is the product of 100 multiplied by 366.24 of sidereal days in one year. Analogously, the second figure 36,525 is 100 times 365.25, which is the number of solar days in one year of the Julian calendar. These correspondences mean the hitherto unnoticed scaling (100 years of a man = 1 imaginary day of the gods) used by Egyptian historicists. Apparently, the total Egyptian chronology was considered as one imaginary year. Now the same method is used frequently for a presentation of geological history of the Earth to the duration of one year of 365 days instead of real ‘milliards’ [one thousand million—a term now largely superseded by ‘billion.’—ED] of years (e.g., http://pratclif.com/geology/timescale1.jpg). Such a transformation simplifies the comprehension of unimaginably long time intervals. Archaeological data confirms the long timescale of Egyptian prehistory. Thus the oldest known archaeological site of Homo sapiens in Egypt (Nazlet Khater 4) has been dated 35,100 ±1,100 BP in approximate accordance with the above-mentioned native chronology. (A. Le Plongeon and D. Pleurdeau, The African Archaeological Review, 28(3), 213-236, 2011) Hence, the “mythical” chronicles of Egypt have a Paleolithic origin indeed. The prehistoric Egyptians could mark their most important epochs with a constellation (or related deity) that dominated the evening sky in certain seasons. 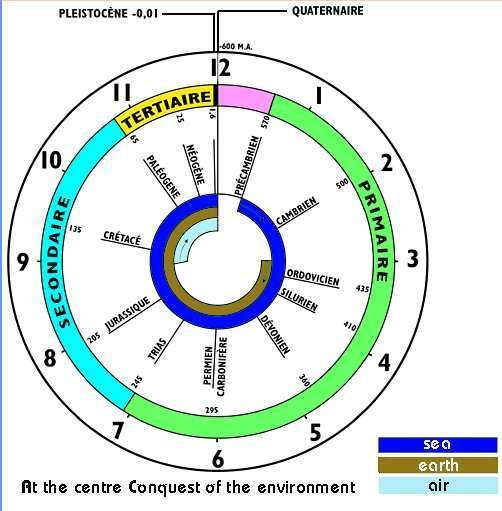 The precession changes such markers with the approximate period of 25,772 years. Such marker-folklore could be reflected in the mythical chronicles as ruling gods. Really, the oldest parts of “The Royal Canon of Turin” and “Old Chronicle” are the lists of ruling gods some of them had of related constellations (e.g., Osiris–Orion, visible in summer evenings when Osiris “reigned” during the Neolithic Revolution). I always look forward to your next issue and I have been a fan for years. That being said, I was disappointed in the article, Where Be Dragons? In AR #130. I thought that it would be an interesting take on an ancient myth and maybe present a new perspective on what might have been the basis for the mythology of dragons. Instead, the author gave a summation of all of the different ancient and historic cultures that have dragon legends. Then near the end of the article, he brought out the coelacanth, which is the poster child for cryptozoology, but to my way of thinking, had nothing to do whatsoever with the subject of the article. At the end of the article, he devoted four lines to say that early man had either seen dinosaurs or found dinosaur bones and conjured up the image of dragons from said bones. I find that to be a very weak explanation for the origin of worldwide legends that have persisted until the present time. Many researchers feel that most legends have at least a grain of truth imbedded in them, and that is the basis for such legends. In the case of dragons, it would seem to me that there are many potential candidates that could have been the basis of dragon legends. Since there are varying descriptions of dragons, it may be possible that there are different animals that have been lumped together to form the basis of the dragon legends. There are several cryptids that come to mind that could be the basis of these legends. The Oarfish and Plesiosaurus are possible candidates for some types of dragons. The Thunderbirds of the United States could be the basis of dragons with wings, and the Megalania of the Pacific could be the basis of fire-breathing dragons with their toxic saliva being the basis for fire-breathing animals. These are just some examples of creatures that may have been the basis of the dragon legends. I feel that much more research should be devoted to this line of inquiry to be able to provide a better understanding as to how these legends might have come into being. As an original subscriber to AR, I wanted to express my delight with the excellence of the recent issue (AR #129). The contents of the superb article, from John Chambers, “William Blake’s Atlantis,” make it both fascinating and important. As a student and teacher of world religions, I note that the core belief in our in-dwelling divinity is common, and presents a field where Christian saints, Hindu sages, Buddhist monks, and Sufi mystics dance together, where boundaries dissolve and differences disappear—where All Is One. Our task then becomes to treat each other accordingly and, to use that knowledge to place democracy on a spiritual foundation. Every neuron in our brain has hundreds of thousands of pathways through it. It is a quantum particle and influences the quantum field. If we express the humane instinct, to treat other people like we want to be treated, that makes our brain very complex, and it ties the quantum field into complex knots. When we endure the trials and tribulations of this life, it pulls this knot tighter and tighter until it won’t come undone when our body dies; it finds another body instead. The gods use their powers to protect themselves from the trials and tribulations of this life, so their soul knot is lose and flabby. When they die, it is forever. So, we are gods to them. Those people who develop their powers fare likewise. Notice that Jesus only used his powers to help others, which is why he remained immortal. Thank you for printing my letter, “Light on the Bent Pyramid,” (AR #130). I’m glad more people can be aware of these facts. One might ask: Is there anything about light that has a dual nature? YES! In the early days of quantum theory, Neils Bohr emphasized that atomic theory was provisional, at best, and he was dissatisfied that light had to be measured as a particle at one time and as a wave at another time. As food for thought, there’s enough here for a sumptuous feast. Dig in!